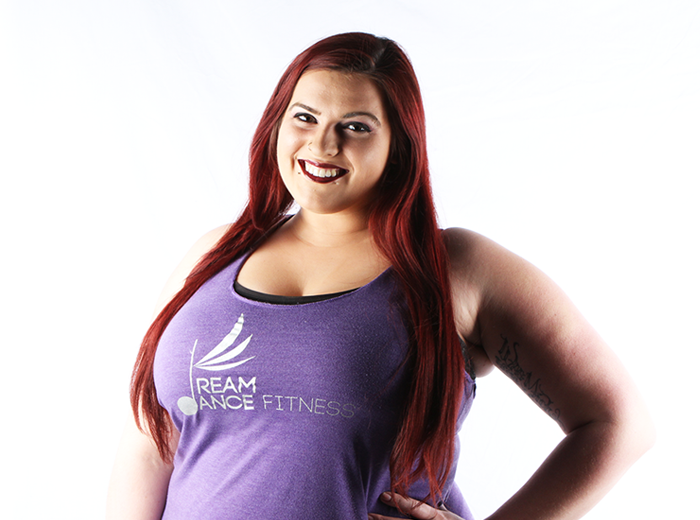 Michelle Mesch, or Mesch as she’s referred to at the studio, has loved teaching and performing long before making her way into the DDF family. A dancer from a young age and vocalist her entire life, Mesch attended BOCES cultural arts center (now known as Long Island high school for the arts) as a dance major in high school, and earned a bachelors degree from the Crane School of Music at SUNY Potsdam in the business of music with a focus in audio recording and production, and an applied instrument in classical voice. After college, with singing engagements spread far apart due to work hours, she was looking for something to give her a creative spark like singing did, and she found that in pole dance. Over the past three years, Mesch has earned over 8 medals in Pole Sport Organization competitions throughout the US. She’s also our current PSO Unicorn, so if you have any questions about competing, feel free to ask! She loves to teach and to see her students progress and move forward in a fun, safe environment, while exploring new moves, music, and flows. When taking one of Mesch’s classes, expect to have a great time laughing, learning, and experiencing new things, that will leave you with a positive energy and confidence that lasts throughout your day and into your life outside the studio as well.